As well as four gorgeous National Parks that invite to visit nature museums ,ecological trails , water tours , to see wildlife in their natural habitat . 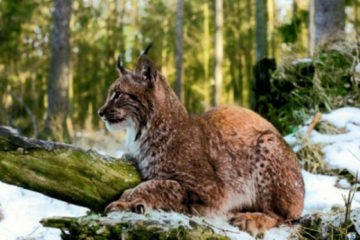 For example the Belovezha forest is the biggest forest in Europe. More than two thousand huge old trees grow in this forest and bisons live there. In Belarus everything overflows with harmony: medieval castles, tiny country churches, ancient and new cities , cool forests, keeping the beauty of untouched nature, silent clear lakes. In Belarus every traveller will find something for himself: whether you like history or prefer modern entertainment, whether you look for silent eyeful or prefer active holidays. Travelling around Belarus you will face the hospitality and tolerance, the ability to understand and respect other people’s beliefs. It may seem that in Belarus, the heart of Europe, the time slowed down its run against the crazy rhythm of life of 21st century and tumultuous situation in the world. 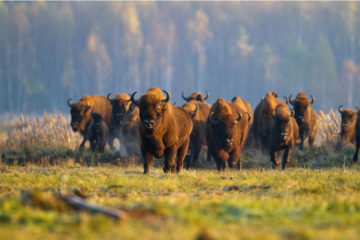 In Belarus the nature remains natural, people are human and you will find peace, safety and stillness of unhurried life. The capital of Belarus Minsk fascinates you at first sight with abundance of greenery and with unusal for a big city great number of parks and gardens. The city looks young, although it could be rightly proud of its age. 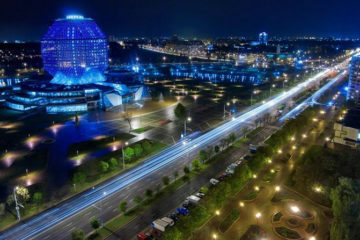 Minsk is older than Moscow, St. Petersburg, Warsaw and Vilnius. In Minsk the ancient architecture harmonizes with the architecture of the Soviet period and modern buildings. It’s a beautiful city, where every traveler will find an entertainment to his own taste: theatres , a lot of museums , galleries of art, a circus , a casino , comfortable bars and restaurants , small coffee shops and big shopping malls, small souvenir shops and just walking through the beautiful, clean and quiet town with wonderful architecture will afford great pleasure. In the medieval period scores of ringworks were located on the territory of Belarus. From some there remain fascinating ruins boggling the mind. And only two castles give you the opportunity to see firsthand the medieval citadels: the Mir and Nesvizh castles. They are connected by many things: a common history, owners, legends. One of them tells about the underground tunnel with a length of 35km, which connected the Mir castle with the family castle of the Lords Radziwill at Nesvizh. In the year 2000 the Mir castle was included into the list of UNESCO world cultural and natural heritage. 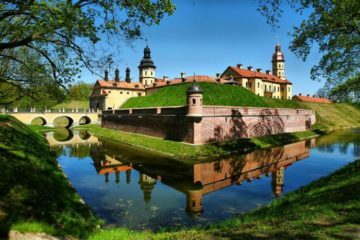 The historic Nesvizh castle is located 110 km to the South-West of Minsk and 30 km from Mir. Radziwills family, owners of the Nesvizh castle, is surrounded with an aura of mystery. Nesvizh Radziwills were fabulously rich. Twelve large halls of the Palace were decorated with Persian rugs, Royal furniture. The Lords were especially proud of the figures of twelve apostles in human scale, casting in gold and silver. They disappeared without a trace during the war of 1812, but still haunt the mind of many treasure hunters. If you travel in July you should come to visit Vitebsk (240 km from Minsk) and you will be caught in the middle of cultural events of the international competition of young performers «Slavic Bazaar». Every year the music festival attracts thousands of fans of modern music and tourists from many countries of the world. Old places of Vitebsk, the graceful tower of the town hall with a clock which has been ticking the second hundred years, the monuments remind of Napoleon stay in Belarus, parks and squares, nice streets, all this creates a unique atmosphere that will be long remembered by visitors of the city. Vitebsk landscapes are really gorgeous, as if created for painter’s brush. 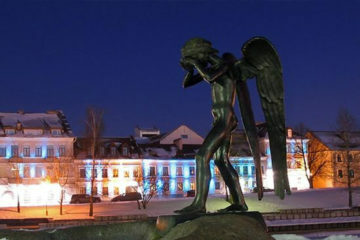 Vitebsk is associated with the names of such brilliant artists as Marc Chagall, Kazimir Malevich, Mstislav Dobuzhinsky and many others. Thanks to the paintings of Chagall with flying brides and violinists Vitebsk is known around the world. In 1919 Marc Chagall has opened the School of Art in Vitebsk, where virtuosos of the brush of that time taught. They turned Vitebsk to a kind of art salon, painted it in incredible colors, creating panels and posters with allegorical subjects on its streets and squares. Today there is an art center and memorial House-Museum of Marc Chagall, where documents and art works of the Master are presented . They tell about the years spent by him and his parents in Vitebsk. 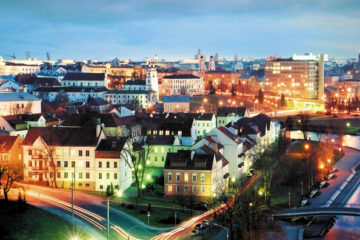 Big and small cities of Belarus are waiting for you and each of them has something unique…. Besides the vivid impressions of nature, sights, clean and well groomed country you will be pleased with the Belarusian national cuisine. You can visit Belarus for any purpose — vacation , sightseeing , active leisure , recreation ,romantic holiday, corporate and business trip. You can travel alone, with family and friends or with a large group. We accord a comprehensive welcome in our country . 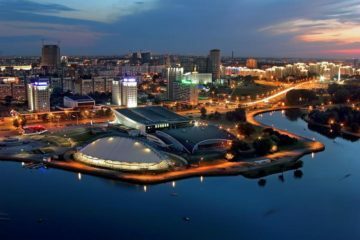 The advantage of «Irissantour» is an excellent knowledge of Belarus and all its attractions, historical values and modern life, the ability to organize holidays and events to every taste. Welcome to Belarus! Enjoy the peace, serenity and beauty of untouched nature or spend a joyful weekend in Minsk, take the most interesting tours and we know — you will want to come back again!